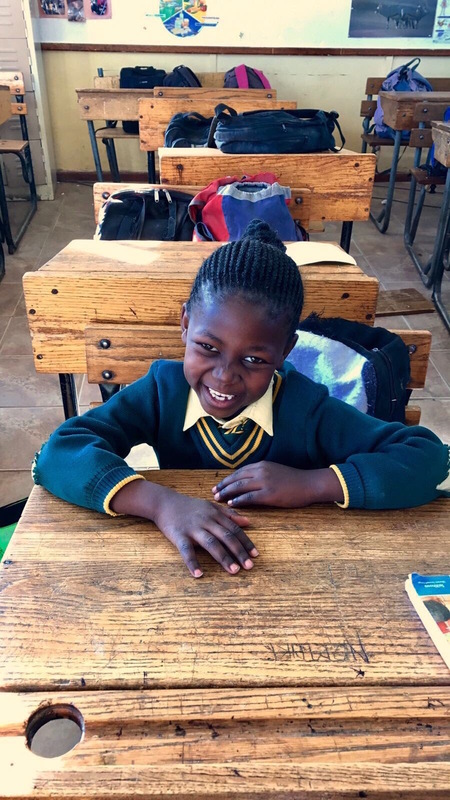 In June 2017, rising senior Hollis Vohr volunteered with Universal Promise in South Africa. As part of the medical team, Hollis worked alongside local medical professionals and engaged in door-to-door health assessment and education. Throughout the experience, Hollis exhibited a profound degree of empathy and a desire to continue to give long after her return. Hollis realized that desire by marrying her interest in sustainability with her passion for animals. A budding veterinarian, Hollis started to make dog collars to sell, with a full 100% of the profits to return to Universal Promise. The collar proceeds will be directed toward finishing the construction of the Universal Promise Academic Centre at Vusumzi School in South Africa. Hollis spent hours and hours of her time and money to handcraft these beautiful collars. Will you please consider purchasing one for your canine pal? Yes, you could probably purchase a dog collar less expensively elsewhere, but you would not be educating nearly 1,000 children at the same time. The price for these one-of-a-kind collars includes shipping, handling, and a donation to Universal Promise. Here's to Hollis for extending her volunteerism well beyond the borders of South Africa! That is the definition of life-changing, for sure. It's All Good, for sure!